OHM - High Definition Arena System - Modular Component Two Box Array System - Akwil Ltd.
OHM - High Definition Arena System There are 3 products. The OHM HD point source array system sounds like its name: High Definition. Fantastic sound quality coupled with LOUD â€¦.. really loud. 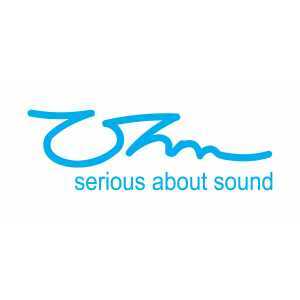 OHM is serious about sound and HD provides very serious sound. 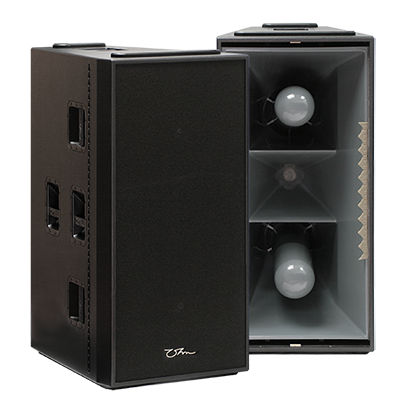 The HD system is ideal for club installations and for medium sized dance music events. 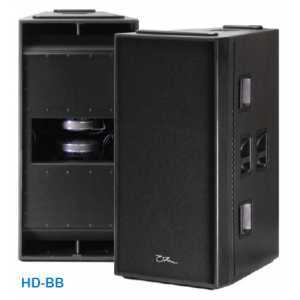 The HD system comprises two identically sized cabinets: the HD-MH full range unit and the HD-BB sub. HD arrays can be securely built up both as ground stacks and as flown arrays using the optional flying frame. OHM 18” cast chassis drivers with 4” voice coils. Do you have a question about one or more of our OHM - High Definition Arena System products? Click below to contact us.